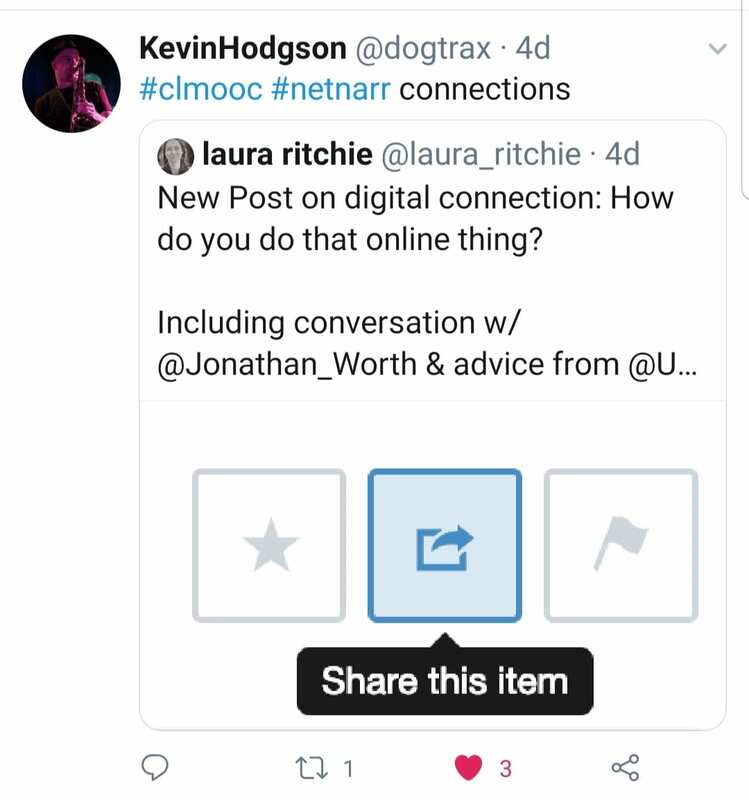 My (virtual) colleague Kevin Hodgson alerted me to this #netnarr post by Laura Ritchie, in which Laura asks and seeks to answer the question, “How do we connect with the wider community across the globe?” I was fascinated by Jonathan Worth’s responses to Laura’s questions, as he analyzes online networks and communities. I was particularly struck by Jonathan’s statement that “everyone’s got a story, you’ve just got to enable them to tell it.” This reminded me of ethnographic research I conducted as part of the 2017 Community Works Institute. 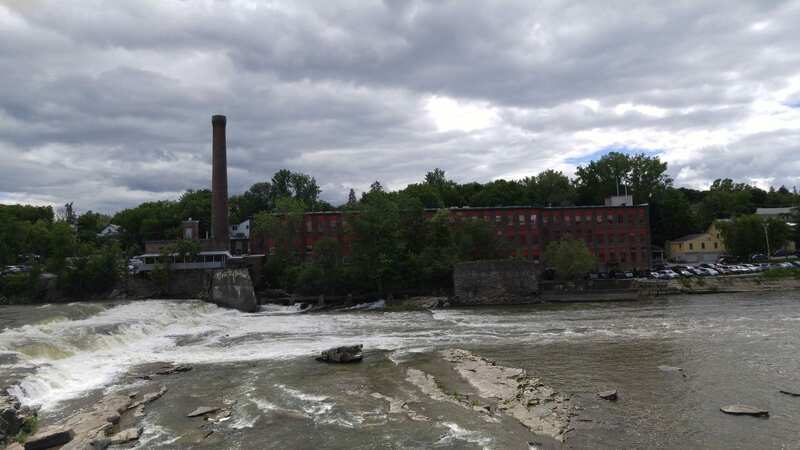 We spent one afternoon strolling through the compact Vermont town of Winooski, once home to thriving woolen mills. After the mills closed in the mid-1950s, the town saw an economic decline for two decades. 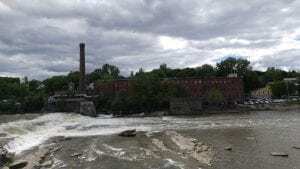 In the 1980s, the mills were converted to commercial and residential spaces, which helped revitalize the town. The most startling trivia about Winooski is that in 1980 there was serious consideration of covering the town in a geodesic dome to make winters more tolerable for the residents! I doubt I would have ever stumbled across this fascinating information without engaging in this walkabout. As we sauntered through the town, we observed, remarked upon, and snapped photos of the various architectural styles. We loitered in the community center, seeking to understand the “vibe” and interests of the town. We entered various shops and gathered stories from the shopkeepers. We talked to people on the streets. Some were residents, some were visiting from elsewhere. We all have stories to tell. One of the best ways we can honor our students and build trust with them is by actively seeking to hear and understand their stories. Yesterday, a friend posted on Facebook that her brother had just passed away from a massive heart attack. She said she debated before posting, as she intentionally estranged herself from him when her oldest child was born 20-odd years ago, because she did not want her brother influencing her children. As I read her post, I felt sad on many fronts. Sad for this middle-aged man who was in such pain that he used substances to numb himself. Sad for my friend because she had to make a very tough decision all those years ago. Further sadness for her because I am sure she loved her brother, so she has been grieving his loss for decades. I also asked myself what her purpose was for posting this history and loss in such a public way? I concluded that she, like all of us, seeks human connection, and she is reaching out for support. Human connections are just as important in the workplace as they are in purely social settings. Which brings me to Professional Learning Networks. 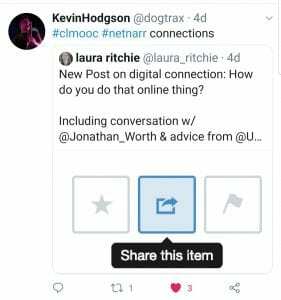 I am grateful for the many other educators I have the privilege of connecting with, especially those I’ve “met” as the result of my participation in the Connected Learning MOOC. 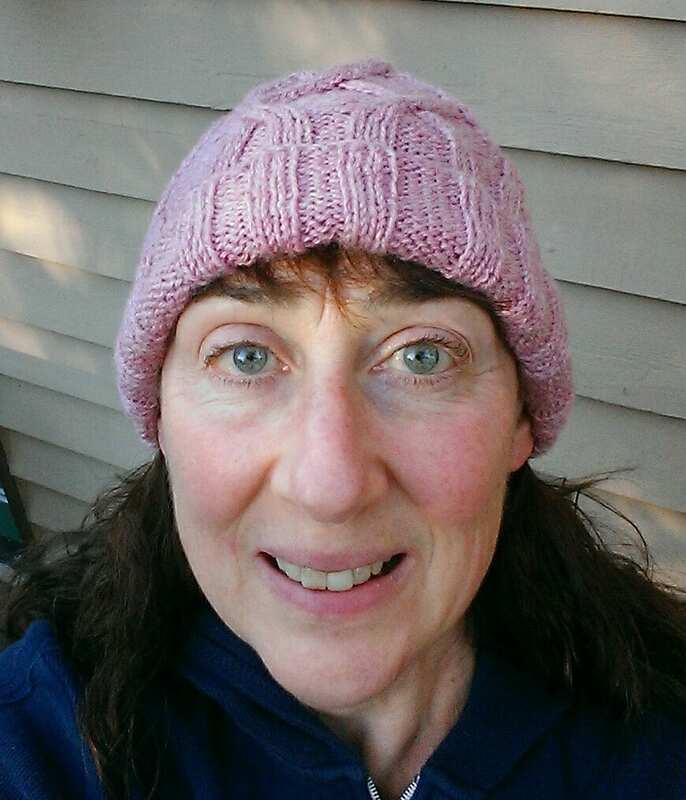 My friend Sarah knit me a hat (and a Christmas ornament!) and helps me better understand what is happening in the UK. Karen faithfully corresponds, and has offered sage advice on more than one occasion. Daniel keeps up the fight against inequality by bridging the divide between those in need and those who can provide tutoring and mentoring services. Kevin abundantly shares information useful for improving my practice, and is always ready to lend a helping hand. Sheri, like me, loves project-based learning (PBL), and offers great insights, both directly and indirectly, into how I can become a better practitioner. Terry’s dissident thinking and reflection require me to think and reflect more deeply. Kim’s lovely photos make me yearn to return to southern California. Susan is another PBL geek who offers authentic critique of my work, and her fabulous art continually delights me. Wendy informs me how hot it is down under as we are freezing here, and creates (along with several others listed here!) magical music. Ron inspires me with his writing of children’s stories, which he does in addition to his “day job” of designing medical education. Simon is another who provokes me to think more deeply, and to aspire to learn all the cool things that can be done with digital art tools. These are but the tip of the iceberg of my many PLN connections. If you’re not included here, it is because I ran out of time. Thank you all! With this abundance of resources, and essentially a forced “retreat” in my home, I should have been efficiently working away, knocking things off my “To Do” list. Instead, I was hanging out on social media, sharing information and photos of this unusual weather event and how it had impacted me. Commiserating with others in similar straits. As I reflect on this, I am reminded of the importance of trying to understand our students’ out-of-school environments. If I, a mature adult with plenty of resources, had a hard time focusing during an unusual and uncomfortable event, I wonder what it is like for a child who is often hungry? Or who lives in fear of harm from a caregiver? Or who is required to “look out” for another family member? Or who has no heat in their home? The list of “or who” could go on for some time. 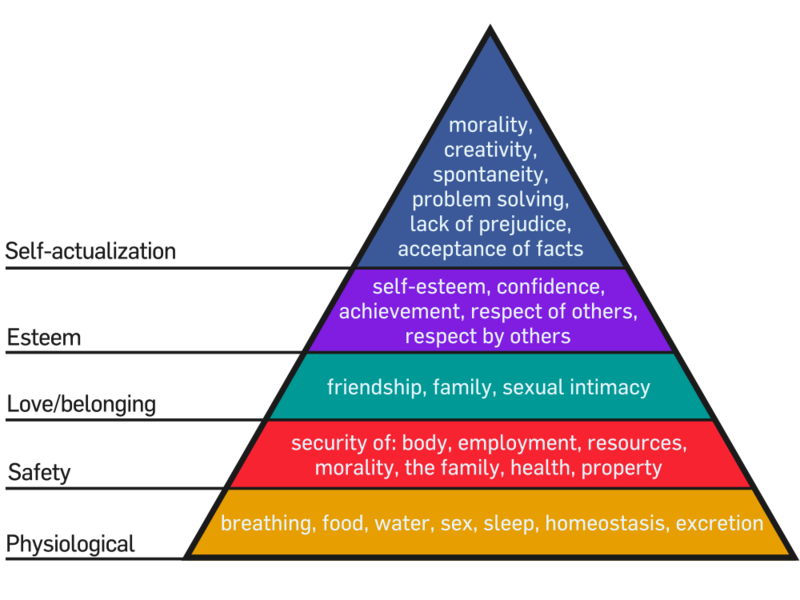 Maslow’s Hierarchy of Needs by Wikimedia Commons shared under a CC-BY-SA Creative Commons license. 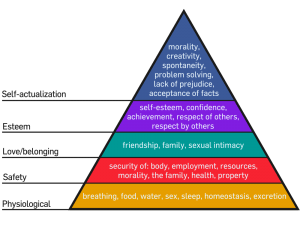 Maslow’s second tier consists of safety needs (protection from elements, security, order, law, stability, etc). Child Trends reports that in the United States in 2016 there were approximately 672,000 maltreated children, a rate of 9.1 per 1,000. “Maltreated” refers to neglect and abuse. If we include other factors, the numbers are much higher. Kids Count reports that 13% of American children live in communities with poverty rates of 30% and above. Among other patterns in high-poverty neighborhoods are higher rates of crime and violence, so even when children living in these areas have a safe home environment they may feel unsafe in their neighborhoods and at school. I have only (briefly) discussed the first two levels of Maslow’s hierarchy. Levels three and four include love, belonging and esteem. Cognitive need only occurs at level five of the hierarchy. In other words, unless our students have their needs consistently met in those first four tiers, they are unable to care about knowledge and understanding. We have millions of children in the United States that are in this situation. Our challenge is to take actions that ensure all students climb that hierarchy not only to tier five, but to the top. This Edutopia article provides some specific ways we can work towards that ideal.